Made from pigment mined and mixed in Italy, Italian Venetian Red is redder than most and smolders with a warm intensity. 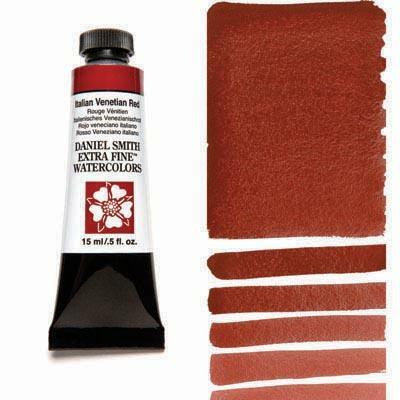 An earthy red-brown leaning towards opaque with sedimentary properties, Venetian Red is great for fall paintings and applications similar to Indian Red. Drop Venetian Red into a wet Lunar Earth wash for exciting results. Venetian Red is non-staining, lifts with some difficulty when dry, but leaves a special warm afterglow when blotted at the damp state.